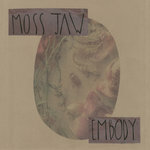 Pre-order of Embody. You get 3 tracks now (streaming via the free Bandcamp app and also available as a high-quality download in MP3, FLAC and more), plus the complete album the moment it’s released. Compositionally dynamic, organic soundscapes cultivated by four pals.